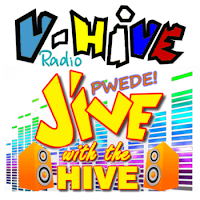 V-Hive Radio is now a part of Radio Tuna. Radio Tuna was created by three music fans from the UK. They thought searching radio should be easier, so they imagined how a radio search engine should work and set about creating it. The result turned out to be quite a lot less easy to build than they had imagined, but they think the effort was worth it! Visit V-hive Radio in their website, http://radiotuna.com/ Then type V-hive in their search box then start listening to us free.